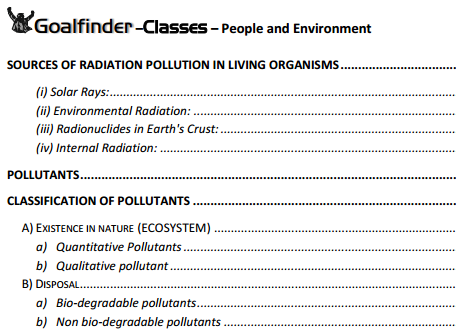 Goalfinder classes UGC / CBSE NET SET People and Environment subject covers in detail the syllabus of UGC / CBSE NET SET paper 1 People and Environment exam. Material covers environment, pollution and types of pollutants, types of hazards and energy with examples and exercises. Total number of Pages is 130.